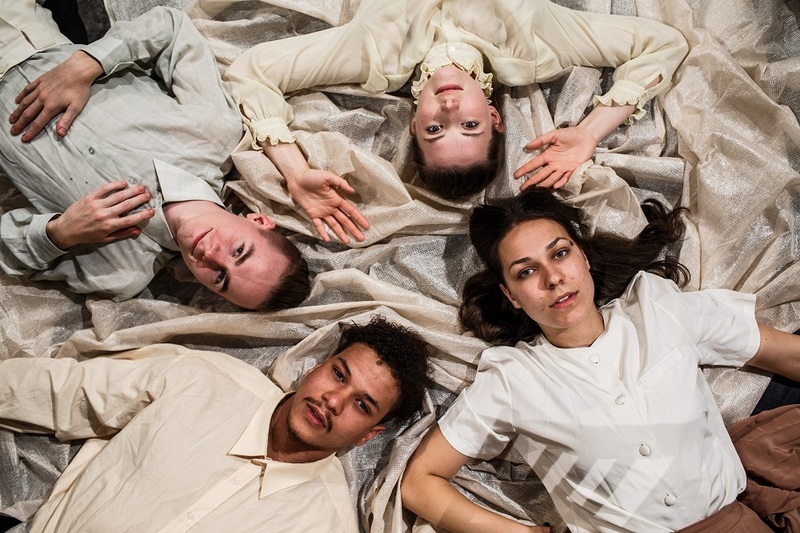 The production fuses live photography with dynamic physical theatre, to discover that the camera is never simply an object but a playful and present character in our daily lives. ‘Peeking’ challenges audiences to become meaning-makers, rather than passive spectators. The open narrative explores themes such as: The blurring of visual art & theatre boundaries, the presence of cameras in modern society and its effect on our everyday relationships, as well as the legacy of photography. GOLKK Theatre are current artist in residence at the University of Kent and the Gulbenkian, Canterbury. ‘Peeking in the Portrait’ has recently been on a Gallery tour around Kent, and has had success in Canterbury performances and at Dreams Before Dawn Festival 2017 in Paris. According to their blog, GOLKK began to look into a new show, seeking to work through a combination of architectural work (working with space and its inherent atmospheres) and long physical improvisations. “We began to feel the energy and flow of what would later become ‘Peeking in the Portrait,‘ they said. Camden Fringe will be GOLKK’s London debut where audiences are welcome to witness the curious world of Peeking in the Portrait.